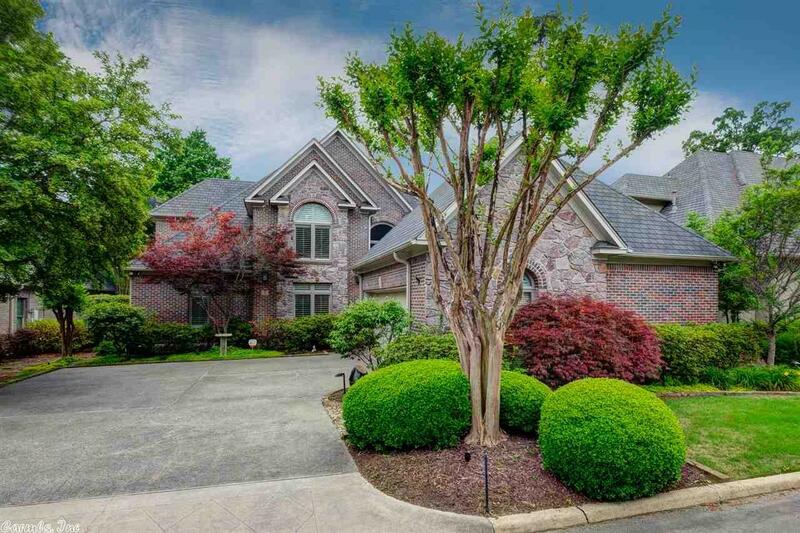 Gorgeous custom home overlooking the pond in gated Chenal golf course neighborhood! New decorator paint throughout. Light & airy foyer w/custom iron doors & sunscreens on windows provide energy efficiency. Tall stone dbl side FP in Great Rm. Beautiful cabinetry in the chef's kitchen w/new island granite, wet bar & SS appl. Huge main lvl Master Suite w/updated fixtures. Office down. Up 2 guest bdrms, lovely hall bath & walk-in attic access. Abundant landscaping w/water feature & pergola in back. Come See!